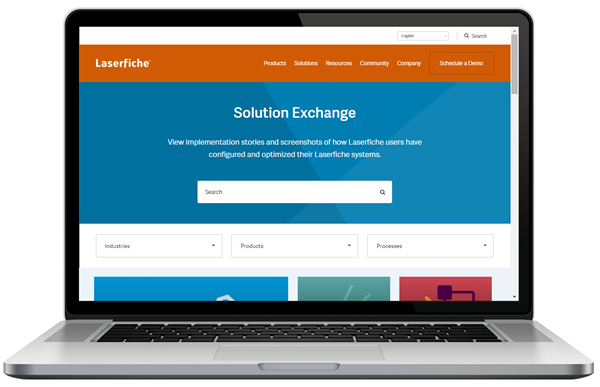 Welcome to the New & Improved Laserfiche.com! Today we’re excited to announce the launch of the all new Laserfiche website. Our team has been hard at work over the past few months preparing for this day, and we’re excited to share the fruits of our labor with you. We want your time on the Laserfiche website to be as enjoyable and simple as possible. As part of this, we’ve made it easier for you to find the content you need with a new navigation and footer. The website is now 100% responsive to meet the needs of the modern web user across any device and multiple browsers. 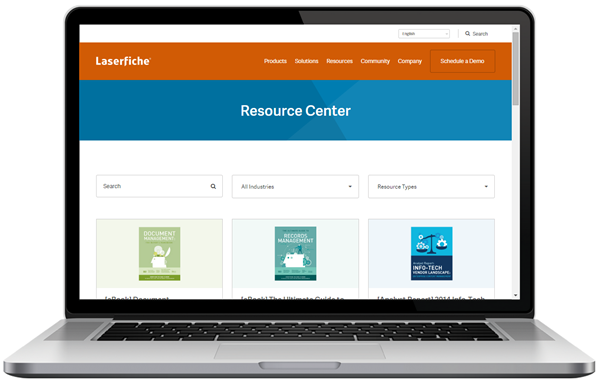 A centralized resource center provides a “one-stop shop” for easily finding eBooks, analyst reports, presentations from the annual Laserfiche Empower Conference, on-demand webinar recordings and much more. New filters on the Case Study & Solution Exchange portals help you quickly find the most applicable use cases for your organization. 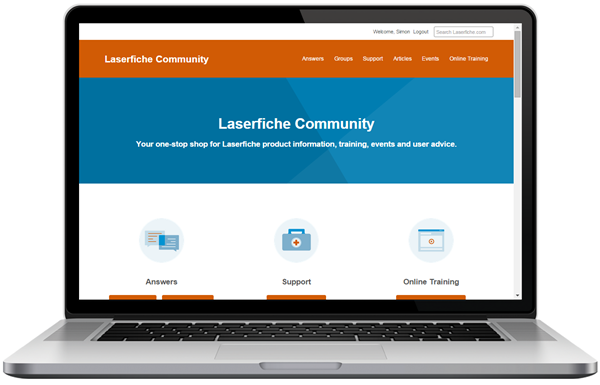 A new community section focused on helping Laserfiche customers and partners engage with the global Laserfiche community both online and in person. This section includes a comprehensive list of technical articles, links to the crowd sourced Q&A forum Laserfiche Answers, online training, certification and upcoming events in your area. These are just a few of the new features included on the site. We encourage you to take a look around, discover new resources and enjoy your web browsing experience. If you’d like be part of a future user testing study, please email social@laserfiche.com. Who knows, you might even be rewarded with some awesome Laserfiche swag if you’re accepted into one of our upcoming studies!